I’d like to share the promises and treasures that the Lord has given me concerning our children and other loved ones who have gone before us to heaven. Our children and loved ones in heaven are true treasures that await us.They are in our future, not only in our past. In God’s presence, where they live life abundantly, a day is like a thousand years and a thousand years like a day. We will be with them in a moment’s time, although that moment may be several years here on earth, and we will have eternity with them and that means forever and ever and ever! God’s measure of love for us was revealed in each of the precious days here on earth that He allowed us to spend with our children and other loved ones. And we would give anything and everything to have just one more day or even hour with them here on earth! Thankfully and thanks to our God, the Giver of life and life eternal we have an eternity with our loved ones in heaven. God gives three gifts of life: our natural birth, salvation in Jesus Christ (our spiritual birth or rebirth), and eternal life in heaven. Our children and other loved ones in heaven want one thing and one thing only: for their parents, family members, and friends to join them in heaven at God’s appointed time. Just as God alone knew the day we are born, He also knows the day we will depart from this earth. Until that day comes and for eternity afterward, He wants a relationship with us, and He offers us that relationship as well as eternal life through His Son, Jesus. When our child or loved one who accepted Jesus passed from this earth, that person was instantly in the arms of Jesus. We no longer need to say, “I lost my child” or“He/she is dead” because our children/loved ones are not lost. They are in heaven! And they are not dead. 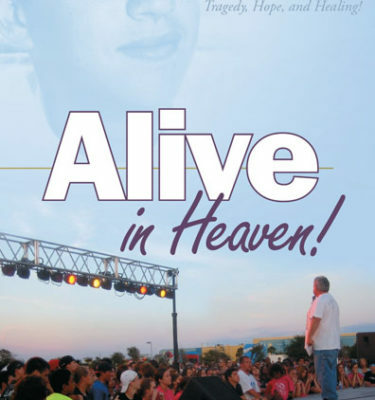 They are alive and living life abundantly in heaven. That’s why I choose to say, “My son has passed” or “When my son passed.” Our loved ones truly have passed over from life on earth to eternal life in heaven! Thanks to the death and resurrection of Jesus Christ because of His victory over the power of sin and death on the cross the moment we are absent from the body, we are present with Him, our Lord. Our hope and belief in Jesus Christ is the reason why death truly has lost its sting! We will stay awake one more hour, knowing that the hour may last thirty or forty more years. We will run the race of faith strongly and wholeheartedly until God chooses to take us home! Upon entering heaven after we kneel before Jesus and confess He is Lord we will then look to the treasures awaiting us, treasures who are far more precious than silver or gold! I tell you the truth, whoever hears my word and believes Him who sent me has eternal life and will not be condemned; he hascrossed over from death to life.